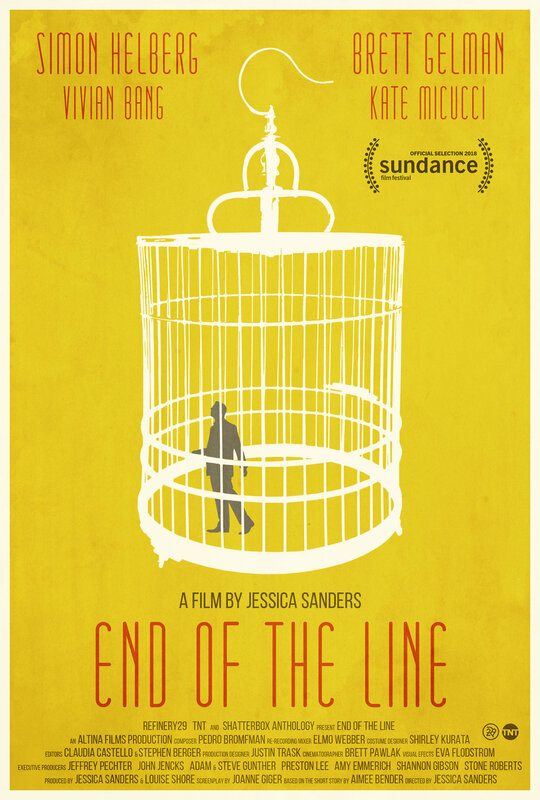 END OF THE LINE is a short film directed by Jessica Sanders (Oscar-nominated, Sundance and Cannes winner) based on acclaimed writer Aimee Bender's surrealist short story about a lonely man who goes to the pet store and buys a tiny man in a cage. The story explores themes of power and abuse of power in a highly creative and unusual way. Starring Simon Helberg (Big Bang Theory, Florence Foster Jenkins) and Brett Gelman (Stranger Things, Lemon). END OF THE LINE premiered at the 2018 Sundance Film Festival, screened in over 40 festivals around the world, and won Best International Film at the Molise Film Festival in Italy and the Jury’s Choice Award at the Discovery Film Festival in London. The film is part of Refinery29 & TNT's award-winning Shatterbox Anthology, a short film series dedicated to supporting the voices of female filmmakers.